Protecting your privacy and data online has become a hot topic in the last few years. As some governments now actively spy on internet activity and hackers use advanced data-stealing techniques, it is now more important than ever to ensure that your privacy and information are secure. 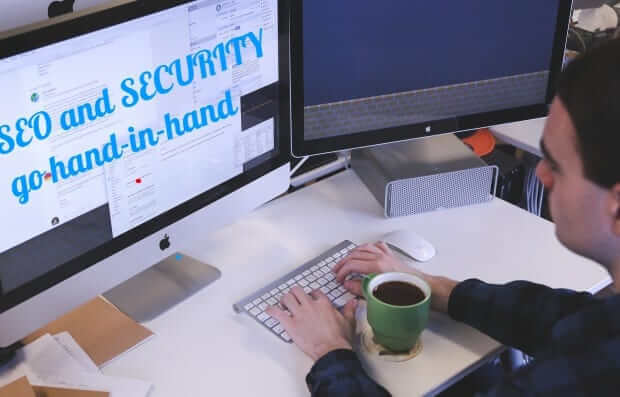 When it comes to Search Engine Optimization (SEO), many people fail to take proper security measures when conducting research or storing their data. Conducting SEO research requires a lot of patience and effort and can be a great deal of hard work. This is why SEO data is so important and is increasingly valuable not only to yourself and your organization but also your competitors. In fact, hackers are increasingly attacking websites for the purpose of stealing their information or destroying their SEO efforts. SEO has dramatically changed in recent years, and 2016 isn’t any different with various new SEO techniques being developed. For example, Google identifies your location when you enter a query into their search engine. This ensures that you are shown local results relevant to your region. What happens if you are trying to improve the SEO of a business located in another country? Some people use methods such a using a VPN to see what their results would look like in another region. This kind of globalized thinking is what we can expect in the future of SEO research. There is also a lot more emphasis on long tail keyword research than ever before. It used to be the case that you could simply repeat the same keyword dozens of times on one webpage and the search engines would pick this up and rank your website accordingly. Now SEO involves targeting long keywords of more than three words so that you can attract users who are searching for a specific term or phrase. One needs to look at what works and what is a waste of time. This brings us to the importance of security. SEO doesn’t just change every year. It now changes every month. Does this mean that security is now more important to SEO than ever before? The simple answer to this is absolutely. Think about all the data that you have stored regarding a specific SEO campaign. The whole point of this is to gain an edge on your competitors by discovering profitable and effective keywords to target. This includes the amount of people searching for these keywords and also where these searches originate from. It can take up to months to gather this data. By leaving your privacy exposed through an insecure internet connection or storing your files in an unsafe location, you are putting all this information at risk of being stolen by hackers. You need to not only protect your SEO data and your website itself but also limit the number of people who can access this data. You could spend six months building a great website that ranks well in Google only to see all your work and research disappear overnight. One of the main security methods you can take is something I mentioned previously and it is using a VPN. Many people think using a VPN is just for paranoid individuals who think the government is out to get them or to unblock Netflix in their country. The reality is much different. A solid VPN can ensure that your data is not intercepted over unsafe networks. This not only enhances your privacy by rerouting your connection through a remote server to protect the data that you send and receive, but it also has great benefits when conducting SEO research. Also, ensure that your files are well-protected and that you have backups stored in a secure place. You should only give access to these files to people that you trust. Additionally, keep an eye out for new files that you haven’t created yourself. If you have a team working for you, don’t instantly grant everyone editing privileges. Protecting your website, particularly if it is a WordPress site, is possible with some valuable plugins that can boost your security. They can tighten up the defenses that protect your site and the data that is stored there from hackers and malicious individuals. Some of the more popular ones to look at are Acunetix WP Security and WordFence. Conducting SEO takes a lot of time and effort whether you are maintaining a top ranking or starting out from scratch. SEO changes all the time, so you need to keep on top of new trends and techniques. This includes researching new keywords, looking at new regions and practicing new SEO methods to stay ahead of your competitors. The data you research and store is incredibly valuable. Not just to yourself, but also to everyone else. This is why security is incredibly important when it comes to SEO. In just a few minutes, you could have all your hard work and research stolen or deleted if you don’t have proper security measures in place. Leaving your SEO data exposed is simply not worth the risk. Do you work in SEO? What kind of security measures do you take to protect your work? Leave a comment below and let us know if you think security really matters with SEO. This article was published in Internet and tagged Security, SEO.